Robust gear bag for secure storage of crampons and other equipment inside or on the outside of backpacks. 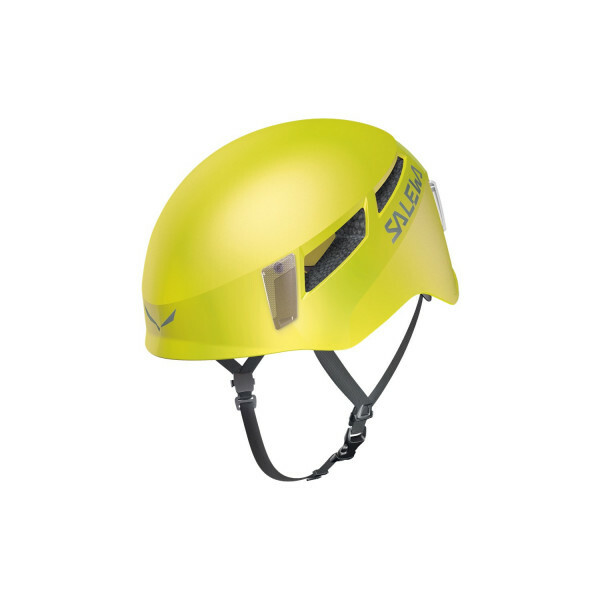 The Pura helmet is a robust, versatile hardshell that offers good protection and an adjustable fit. Its strong, lightweight, injected ABS (Acrylonitrile Butadiene Styrene) shell and EPS (Expanded PolyStyrene) foam liner offer effective impact protection. An adjustment dial makes it fully adjustable, even with one hand, and adaptable to all head shapes. With four large headlamp clips and removable, washable padding.